Your bathroom plumbing is a vital part of your home plumbing system. Because you rely on it for so much, you want to make sure you enlist experienced professionals. Larry & Sons has been providing quality Hagerstown area bathroom plumbing services for over 50 years, and, if you need bathroom plumbing services, we would love to add you to our list of satisfied customers. From toilet installation to bathroom additions, we have the parts, services, and experience to make your bathroom plumbing installation a success. We use only the highest quality parts and equipment, so you can be sure the work we do for you will last over time. Many bathroom plumbing installation projects are quite straightforward, but it is still important to have our professionals complete them to ensure proper tool usage, correct installation, and accurate alignment. When something goes wrong with your bathroom plumbing, you need to get it fixed quickly. That is why we have someone on call around the clock, and we will be there as quickly as possible when we receive your call. Our plumbing experts are able to help with everything from detection and diagnosis to repairs and maintenance to ensure your home continues to run smoothly. The shower is a very important part of your bathroom. Due to the amount of residue that goes down your shower drain, however, it is subject to clogs and blockages. While a hair stopper can reduce clogged drains in the bathroom, sometimes it’s not enough. Call Larry & Sons today and we’ll fix blocked, clogged, and slow shower drains. The toilet is probably the most important part of your bathroom – it’s certainly the most used. We flush thousands of gallons down the toilet every year. Occasionally, your toilet may be subject to clogging, blockages, or it will stop flushing. If there is a severe clogged drain that’s stopping up your toilet, and the plunger doesn’t seem to work, then this type of toilet clog is best left to a plumber. Larry & Sons offer comprehensive plumbing services in Hagerstown, MD, including toilet repairs, and we can fix any clogged drain. Whether your bathtub uses the same drain as your shower or not, it is subject to the same clogged drain problems as the rest of the bathroom fixtures. 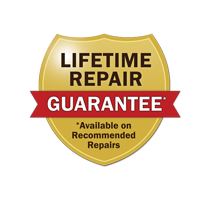 If there is a problem with your bathtub, call Larry & Sons so we can address the problem quickly and get your bathroom running smoothly again. No matter what type of bathroom plumbing services you need, be sure to give Larry & Sons a call today. Larry & Sons provides top quality plumbing services in Hagerstown, Frederick, MD, and the surrounding area.